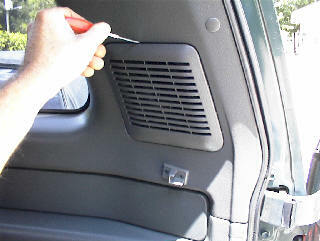 1) Pry speaker grill from side panel starting at top edge. 1) Lift speaker grill up releasing bottom clips. 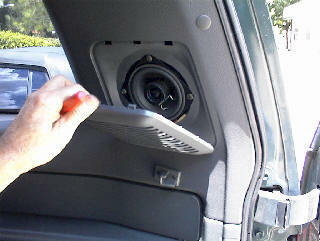 2) Remove four screws securing 4" car stereo speaker.